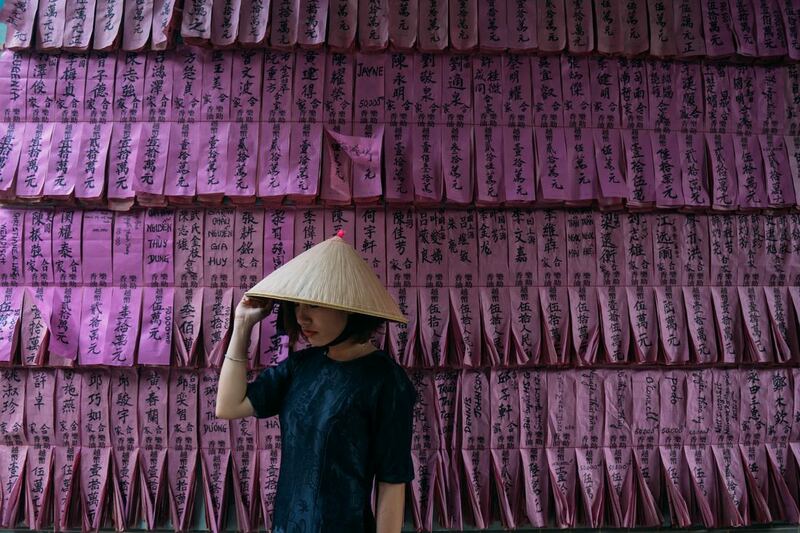 ​Once synonymous with tragedy and conflict, Vietnam is experiencing a rebirth. Now decades after the U.S. pullout from South Vietnam, the country shows few remaining scars from that conflict or the protracted War of Independence from France that preceded it. Many historical sites have been fully restored, the country's economy is booming and the infrastructure for tourism is developing rapidly. The country's history of conflict—both internal and with others—could lead you to conclude that the Vietnamese thrive on a certain degree of contentiousness. That's just not the case. 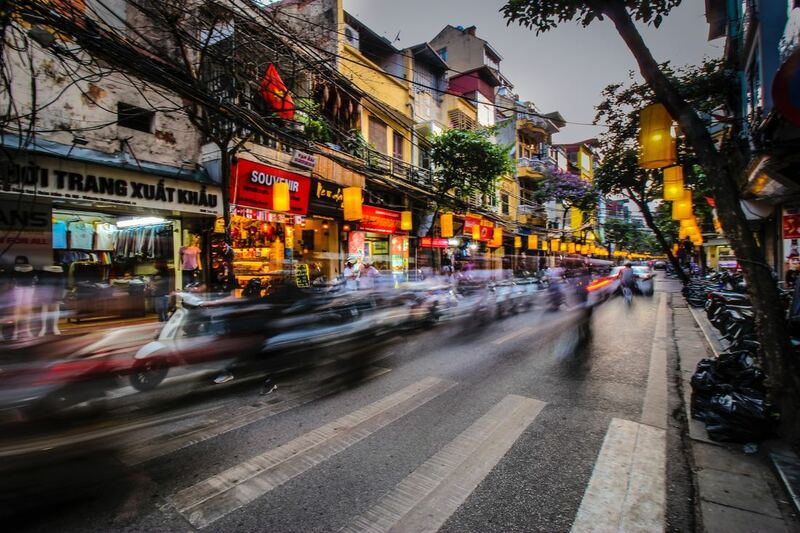 Although older Vietnamese may find the pace of change somewhat dizzying, there is overwhelming support for the advances the country is making. Tourism is helping Vietnam ride the crest of that wave, and the country has become one of the best travel bargains in Asia. 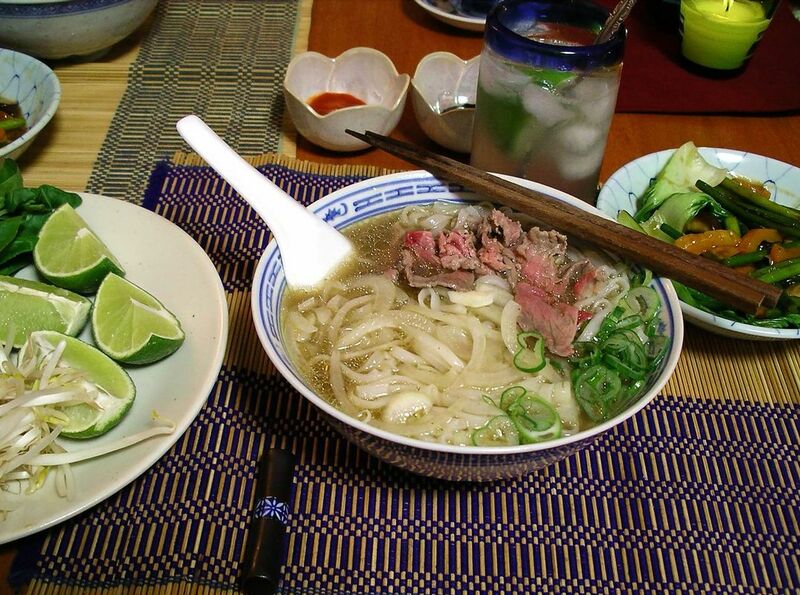 Interested in traveling to Vietnam & Cambodia? The Vietnamese seem to use the names Saigon, Ho Chi Minh City, or simply "HCMC" interchangeably. By any name, Ho Chi Minh City is the economic center of Vietnam, although geographically it's 700 mi/1,120 km south of Hanoi. With a rapidly growing population, new hotels, chic bars and trendy clubs, Ho Chi Minh City is enjoying a climate of prosperity and growth. On Ho Chi Minh City's doorstep is the Mekong delta, with its burgeoning markets, luminous green rice fields, Khmer pagodas, and fruit and flower orchards. The best way to view this tropical wonderland is by boat—you can rent a tour boat in the delta towns of Ben Tre, Vinh Long and Can Tho. The old Saigon landmarks—the Notre Dame Cathedral, the Rex Hotel, the Hotel de Ville—are still there. But new office towers, built by multinational corporations now setting up shop in Vietnam, are radically changing the skyline. There are nearly 200 temples and pagodas in the city. For lovers of recent history, the Xa Lao Pagoda is the site where a monk immolated himself to protest the Diem regime in 1963. In the reception hall of the Giac Lam Pagoda you can see the portraits of monks who passed away years ago (below the portraits, note the monks' funeral tablets inscribed in ancient nom, the original Vietnamese script). The Emperor of Jade Pagoda is filled with gilded figures and papier-mache statues of Buddhist and Taoist divinities. Ho Chi Minh City's millions of motorbikes emit a constant roar and palpable exhaust, and the city's two- and three-hour traffic jams are legendary. Give yourself plenty of travel time if you go exploring. The old CIA building now houses a coffee house where you can view the traffic from the balcony while enjoying their superb coffee as seen below. Reunification Palace - History buffs should stop by the Reunification Palace, where the South Vietnamese government officially turned over power to the North on 30 April 1975. During the fall of Saigon, North Vietnamese tanks broke down the gates and raised the communist flag. It's a trip back in time, particularly the "strategy rooms" in the basement and the upper floors filled with 1960s furnishings. Ho Chi Minh City Museum - Formerly known as the Revolutionary Museum, this museum showcases very old photos of the city, documents relating to its founding, and archaeological and ethnic survey items. 1 Nguyen Tat Thanh St.
Dong Khoi Street - One of the primary commercial centers of the city, this street has beautiful examples of fine French architecture that include the Central Post Office, the Notre Dame Cathedral and the Saigon Opera House. It also offers cafes, boutiques, shops and restaurants. Le Loi - Named after the founder of the Le Loi Dynasty, this street is one of the key shopping areas in the city. 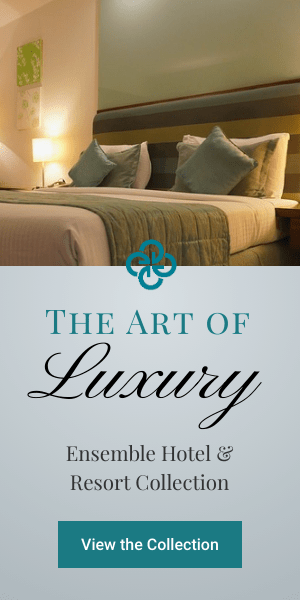 It has art galleries, spas, small fashion boutiques and high-end restaurants. Basilica Notre Dame de Saigon - Situated in the heart of Ho Chi Minh City, Basilica Notre Dame de Saigon is part of the architectural and religious legacy of the French. It was constructed 1877-80, and all materials were imported from France, including the set of six huge bells that hang in the two 190-ft/58-m bell towers. The decoration is in the Romanesque and Gothic styles. In 1960, the Vatican established Vietnamese religious orders and appointed a bishop to Ho Chi Minh City. Two years later, the cathedral was named Basilica Notre Dame de Saigon. Worshippers today include both Vietnamese Catholics and visitors. Mass is held on Sunday and is given in French, English and Vietnamese. Caodai Holy See Temple - The spiritual center of the Caodai sect was founded in 1926 by Ngo Minh Chieu. This religious movement was created by drawing on aspects of Buddhism, Taoism, Confucianism, Islam, Spiritualism and Catholicism. The temple was constructed 1933-55 in a unique architectural style that reflects its intriguing mix of traditions. In many ways, Caodai resembles a Christian cathedral. It includes aisles, square towers and a central nave with upper gallery. Decoration, however, is extravagant and colorful. The three principal colors of Caodai are yellow for Buddhism, blue for Taoism and red for Christianity. Four ceremonies are held each day. About 60 mi/100 km northwest of Ho Chi Minh City. It's best seen on an organized tour from Ho Chi Minh City; journey time is about two hours. Jade Emperor Pagoda - Regarded as one of the finest temples in Vietnam, the Jade Emperor Pagoda is a must-see on any travel itinerary. This glorious temple was built by the Chinese community at the turn of the 20th century and is beautifully decorated with elaborate carvings from top to bottom. The image of the Jade Emperor stands in the main room surrounded by other deities such as the Taoist God of Longevity. Thick with incense smoke and filled with devout worshippers, the temple is extremely atmospheric. Halong Bay is a slice of the South China Sea about 75 miles southeast of Hanoi that is speckled with more than 2,000 isolated limestone peaks (known as karsts) rising straight up out of the water. A group of 1,900 of these islets has been declared a UNESCO World Heritage site. Halong Bay is now one of Vietnam's biggest attractions, and tour groups flock to the area. Ethereal Ha Long Bay is considered by many to be the Eighth Natural Wonder of the World. It is possible to spend the night on board an elegantly appointed ship designed with all the modern conveniences to ensure smooth sailing. The backdrop of the bay’s magnificent scenery as well as dramatic limestone cliffs and rock formations provide you with the perfect setting for a memorable sojourn. 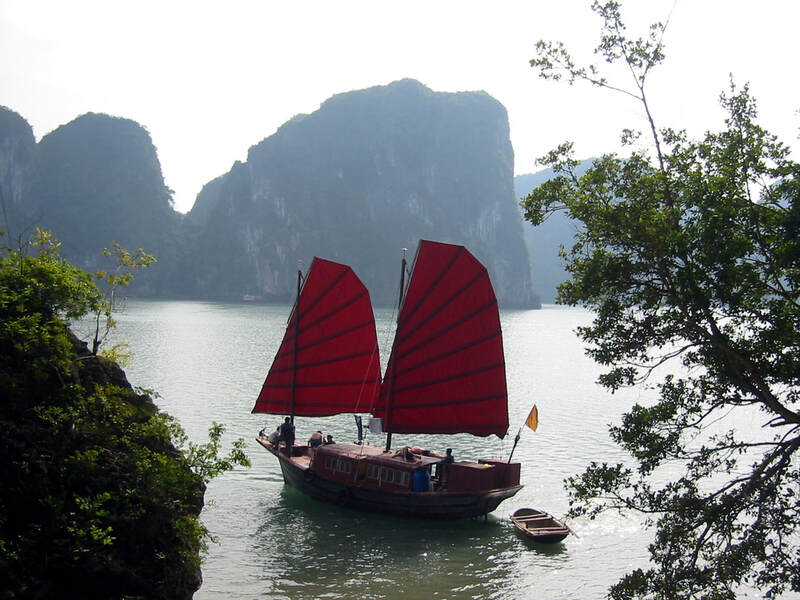 Tours from Hanoi include a leisurely boat trip through the craggy islands. Some boat operators will drop anchor so you can dive into the calm waters or kayak when the weather is cooler. Other tours lead you through grottoes and caves with bizarre rock sculptures. (Be sure to take a flashlight.) Try to get a tour that lets you sleep overnight on the boat. Accommodations are simple but adequate (private cabin, shared toilet), and the views at sunset and sunrise are unforgettable. At adjacent Cat Ba Island National Park, you can see monkeys, explore caves and swim over coral reefs. Nearby Yen Tu Mountain hides a Buddhist temple in a lovely setting. 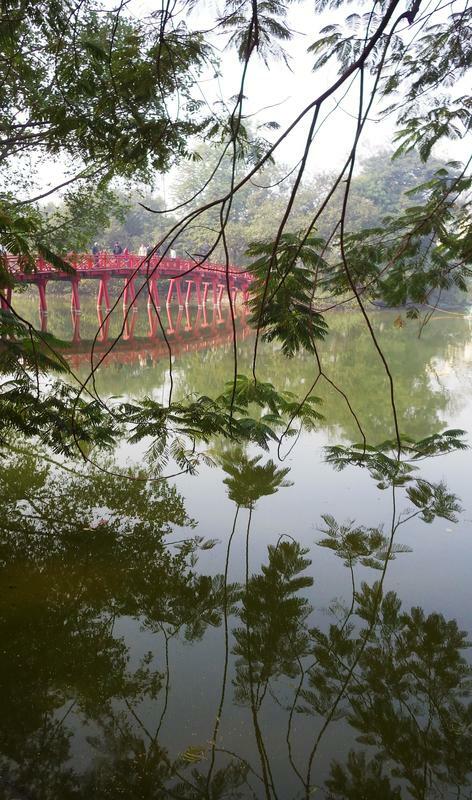 Hanoi, the capital of North Vietnam from 1954-1976, and of French Indochina for 70 years before that, is a river city 700 mi/1,120 km north of Ho Chi Minh City. 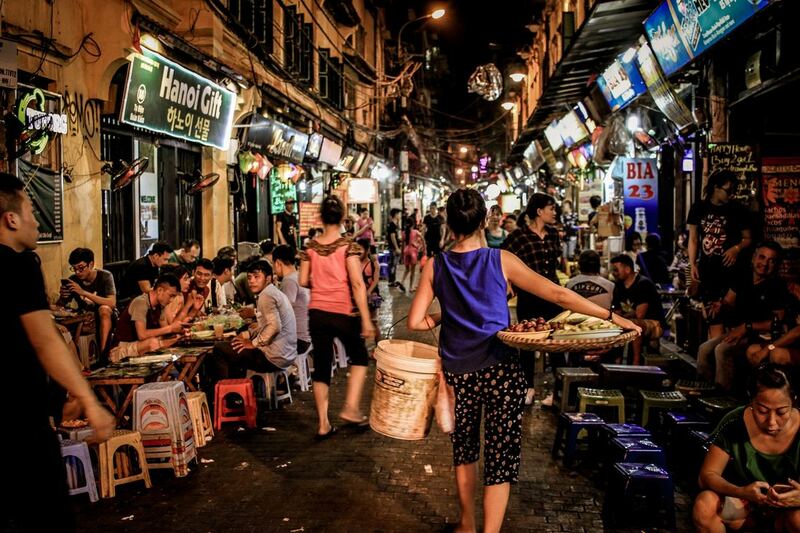 Hanoi is dynamic, chaotic and rapidly changing. Literally millions of motorbikes dodge, weave and honk through the narrow streets of the Old Quarter and down the broad avenues of the Colonial District. The venerable old buildings, many beautifully restored, give this part of the city its character, and it is one of the most popular areas for travelers to stay. Fortunately, the historic buildings, some of them now luxurious five-star hotels that offer a taste of colonial-era splendor, are as much loved by the locals as they are by visitors, but a bold new Hanoi is emerging: one of mega malls, condos and high-rise office towers. Co Loa Citadel - Co Loa Citadel near Phong Khe, just north of Hanoi, was the first fortified citadel in Vietnam and was the national capital during the reign of Ngo Quyen. The expansive site dates from 257 BC and features outer ramparts and guard towers. It has also yielded many Bronze Age relics including bronze drums, plowshares, hoes and axe heads. In the center of the citadel are temples dedicated to King An Duong Vuong, and the annual Co Loa Festival in February pays homage to him. Ho Chi Minh's Stilted House - This simple wooden house is located within the grounds of the Presidential Palace complex. Modeled on a traditional house from the rural northwest, it was home to Ho Chi Minh from 1958 to 1969. It is said that he chose to live in the house rather than the palace as an example to the people that he was a humble leader, while others say it was to avoid possible bombing of the palace by American planes. Set in a lovely garden at the end of a tree-lined path from the Presidential Palace, the house includes a sparsely furnished bedroom and study. 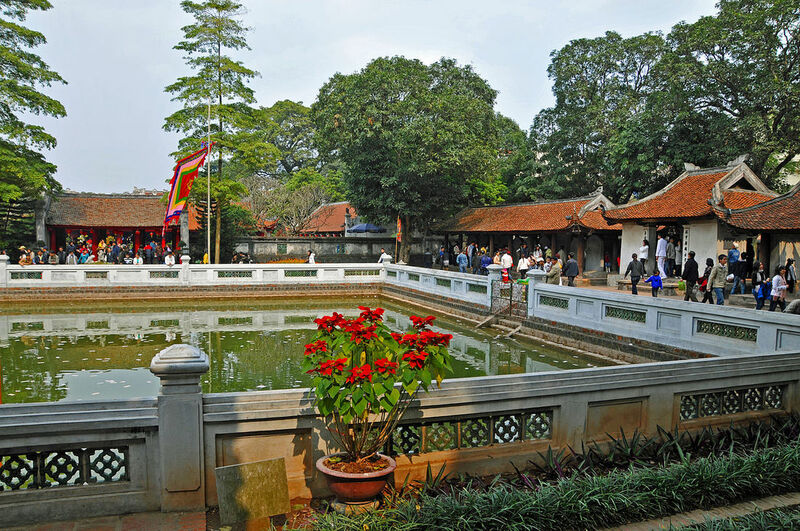 One Pillar Pagoda - A Hanoi landmark, the original pagoda was built by the Emperor Ly Thai Tong, who ruled 1028-54. 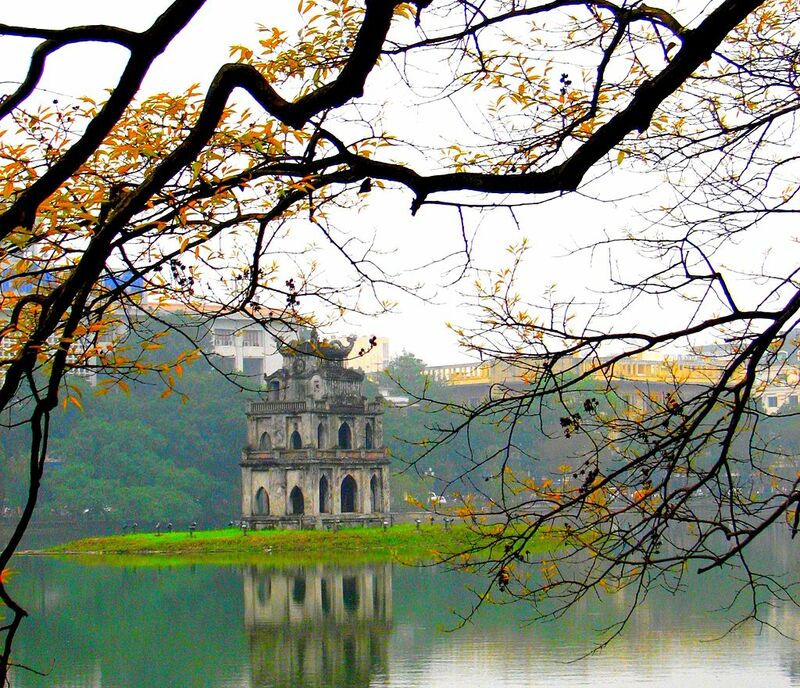 Today's pagoda is actually a replica, because the original structure was destroyed by the French before they left Hanoi in 1954. Built of wood around a single stone pillar, it is designed to resemble a lotus blossom. Museum of the Vietnamese Revolution -Established in 1959, this 30-room museum features more than 80,000 artifacts, documents and photos to illustrate the history of the Vietnamese nation from the mid-19th century to the present. Its three main topics are the nation's struggle for independence (1858-1945), 30 years of resistance against aggressive forces (1945-75) and the road to building a modern Vietnam. 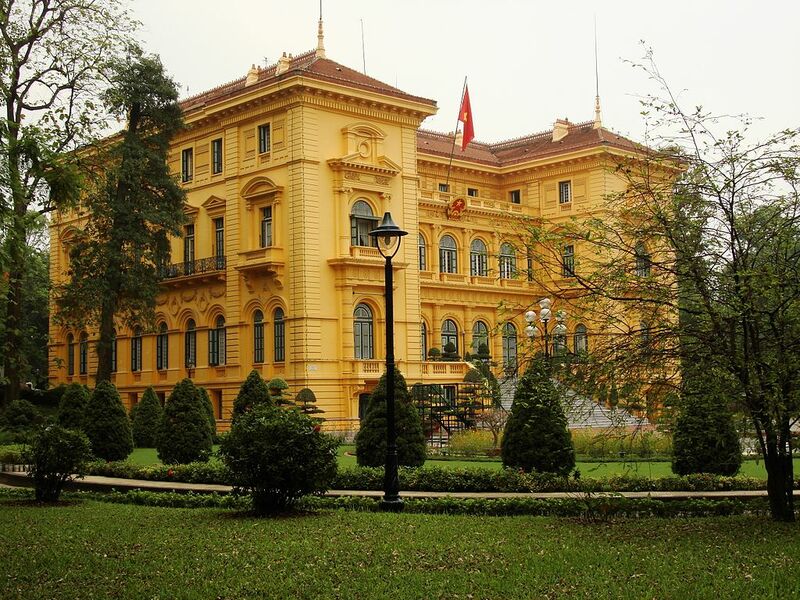 216 Tran Quang Khai St.
Vietnam Fine Arts Museum - This important museum is in a beautiful 1930s building that was formerly the colonial-era French Ministry of Information. Its impressive collection charts the country's history of art, with exhibits that include both ancient and contemporary works. Particularly impressive is a display dedicated to the art of lacquer work. The techniques used are clearly explained in English. Other exhibits feature displays of woodcuts and silk painting. Ancient works include impressive Buddha images, some dating from the 11th century. There is also a gift shop selling replica works, trinkets and contemporary art. Daily 8:30 am-5 pm. 30,000 VND adults. Vietnam National Museum of History -The Museum of History is housed in what was once the French consulate and holds an exhaustive collection spanning all the way from ancient Vietnamese history. The prehistoric relics and excavations of Han tombs are interesting to look at, but English translations are not common on the explanatory plaques. Your best bet is to go with a guide or tour group. Daily 8 am-noon and 1:30-5 pm. 40,000 VND. 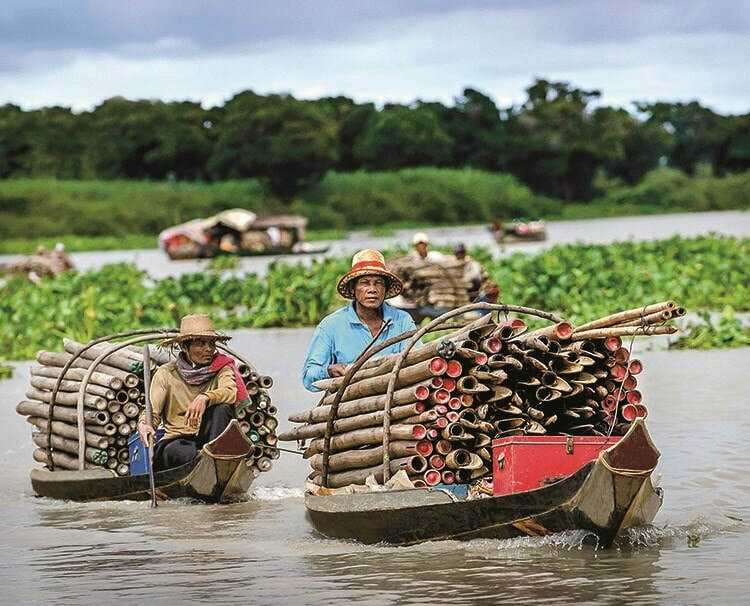 ​The best way to experience rural Vietnam is to cruise along the Mekong where you will feel as if you are transported back in time to another era, where the rhythms of the countryside move at a slower pace and allow for fascinating glimpses into a traditional way of life. Experience the lively hustle and bustle of open-air and floating markets, offering exotic produce. Many small villages along the Mekong are unspoiled by tourism. 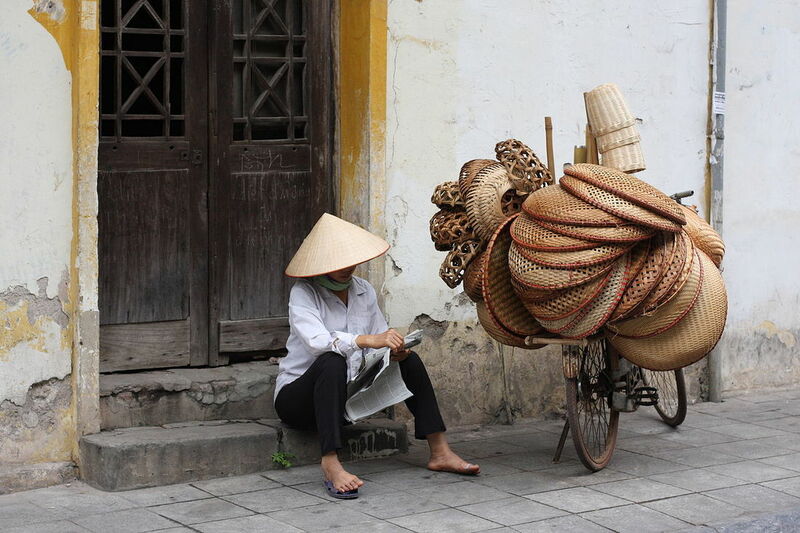 Visit rattan, rice paper and silk workshops which still use traditional manufacturing methods.